The lack of support and the mismanagement of the flood response and revelation of the regime’s role in the extent of the damage has erupted a lot of protest among the victims of the flash floods. As the full scale of the flooding becomes apparent, Iranians feel deceived and let down by the mullahs’ clerical regime. 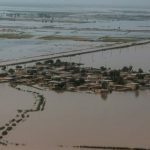 Not only has it become apparent that the regime’s environmental and civil mismanagement exacerbated the damage and failed to protect Iran’s towns and villages from flooding, but the regime deliberately misled the population over the death toll and has not provided assistance to areas affected. 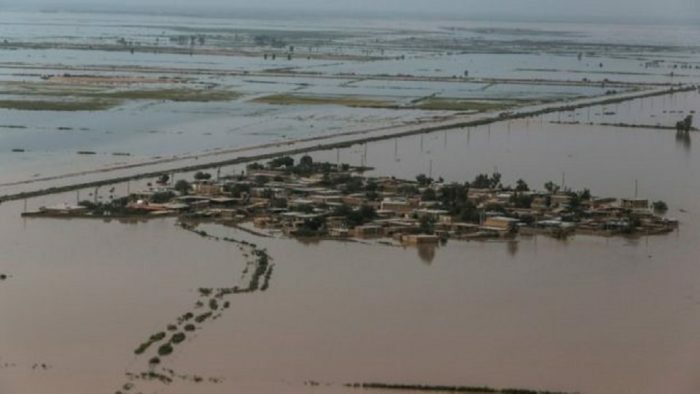 Iranians living in areas affected by the flooding have been left with limited access to food and clean water. They have had to organize rescue efforts themselves and put themselves at enormous personal risk to retrieve victims’ bodies from the muddy waters. The regime has been absent in the humanitarian and rescue efforts. Now, to add insult to the Iranian people, the regime has vowed to crack down on any protestor publicly expressing their anger at the regime’s inaction. “My colleagues were by the people’s side from the very beginning,” he claimed. “The police force was reinforced in the town of Poldokhtar and more forces were deployed to the province [of Lorestan] and the town,” he continued. Video footage circulating on social media has demonstrated the falsity in his remarks. The footage shows Iranians filling sandbags and searching for victims themselves, without oversight or assistance from the authorities. This has characterized the rescue efforts. Based on reports from MEK sources more than two weeks after flood waters ravaged Northern Iran, the Iranian people have begun to direct their ire at the regime. The same reports indicate that a man in a village in southwest Khuzestan was arrested for protesting the regime’s flood response. In a video taken in Ahvaz, citizens attacked a local Revolutionary Guards (IRGC) base with sticks and stones. The regime is determined not to let unrest spread. Part of its strategy to contain civil unrest has been to deliberately withhold the scale of the flood’s destruction. The official death toll released by the regime claimed 66 people died in the flooding. However, the People’s Mujahedin Organisation of Iran (MEK) has revealed the real death toll to be much higher. It estimates more than 200 Iranians died in the flooding. This figure was based on eyewitness testimonies, including that of a doctor in Poldokhtar who claimed “hundreds” of Iranians lost their lives. The doctor claimed that the death toll was so high because many victims were left stranded on rooftops. Helicopters did not arrive in time to save them. Instead, they were left. When the rains picked up again and the waters rose, they have swept away. The doctor’s claims were collaborated by a soldier in a video circulating on social media.